Each spring Cremins Moiselle presents its fabric road shows at several venues throughout Ireland. In 2019 they will present their 21st Annual Road Show. During the first 3 months of each year Cremins Moiselle presents its annual road shows in many locations. Every year Cremins Moiselle produces a number of design shows where a top designer of international repute gives an inspirational talk in relation to our industry. Within the trade Cremins Moiselle are well known for giving unique fabric presentations in their client’s showrooms. Every year since 1998 Cremins Moiselle has produced and presented to the interior design trade a number of design shows in their design centre and in their clients’ own showrooms. 2004 – Christian Fischbacher a special presentation to celebrate 21 years of Cremins Moiselle. 2004 – Erin Murphy Finn and Andy Pacuk. 2006 – Christy Almond and Erin Tsucalas. 2008 – Christian Fischbacher and Michael Fischbacher. 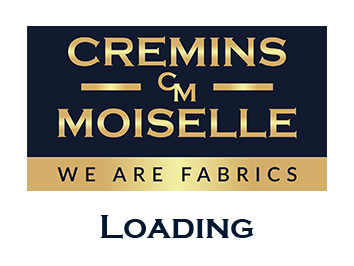 2013 – David Finer and David Klaristenfeld (Fabricut) a special presentation to celebrate 30 Years of Cremins Moiselle.